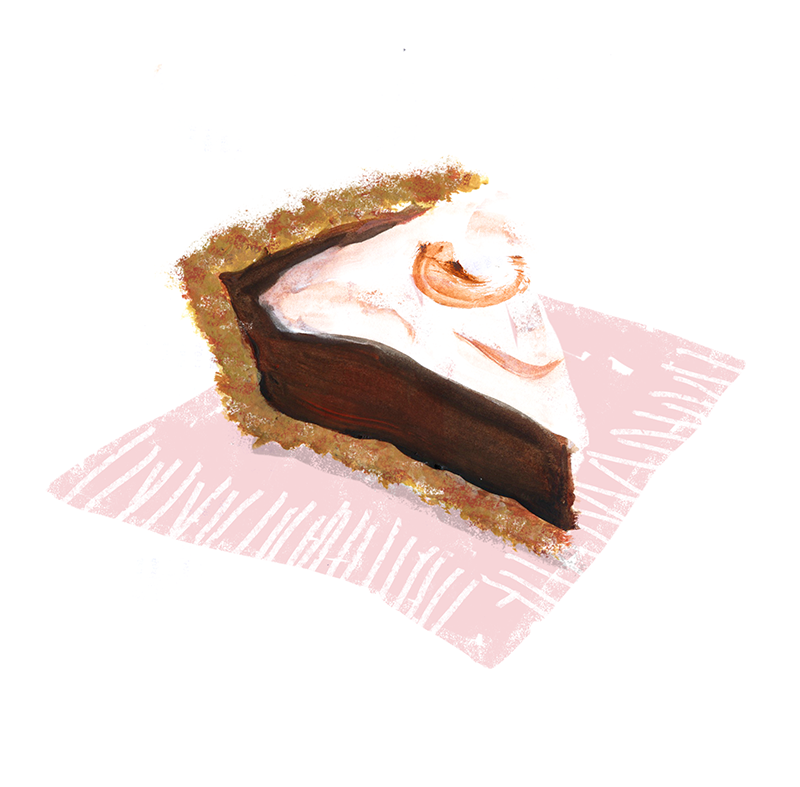 This pie has a graham cracker crust layered with a rich chocolate filling and topped with a fluffy marshmallow meringue. Make graham cracker crust: Preheat oven to 350°F. 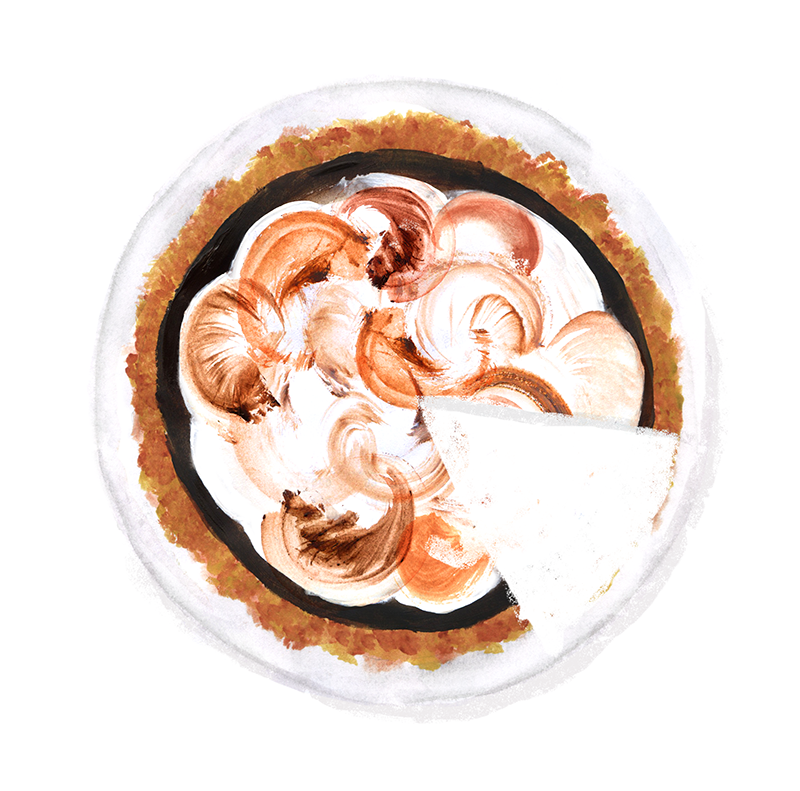 Lightly butter a 9- to 9 1/2-inch pie plate. Stir together all ingredients in a bowl and press evenly on bottom and up side of pie plate. Bake until crisp, 12 to 15 minutes. Cool on a rack to room temperature, about 45 minutes. Make the Chocolate Filling: Whisk together sugar, cornstarch, salt, and yolks in a 3-quart heavy saucepan until combined. Whisk in milk. Bring to a boil over medium heat while whisking constantly. Reduce heat and continue whisking for another minute until the filling has thickened. Whisk in chocolates, butter, and vanilla. Cover surface of filling with tin foil or wax paper and cool completely (about 2 hours). Spoon filling into crust, cover and chill pie for 2-6 hours. Make the Marshmallow Meringue: Add egg whites and sugar to a heatproof bowl and set over a saucepan of simmering water. Heat mixture, stirring constantly, until it reaches 160°F on a candy thermometer, about 3 - 5 minutes. Remove bowl from saucepan, add cream of tartar and beat mixture with an electric stand mixer on moderately high speed until stiff glossy peaks form, about 7 - 9 minutes. Spread over set chocolate filling. Preheat broiler with rack in the highest position. Place pie under broiler for 2-3 minutes until browned. Rotate to avoid burning. Store pie in refrigerator.